Texas sunsets are usually brilliant, especially in the summer. This one is no different and the darkness adds a it of mystery as well. The skies can be interesting to observe. When I was a kid, I used to play, looking at the sky by looking into the mirror and walking without looking outside the mirror. It gave me the feeling of 'walking in the clouds'. Sometimes this made me lightheaded :) I am reminded of this by the photo below, in which, you will see another view of the beautiful sky, with puffy clouds, accented by some tree branches. 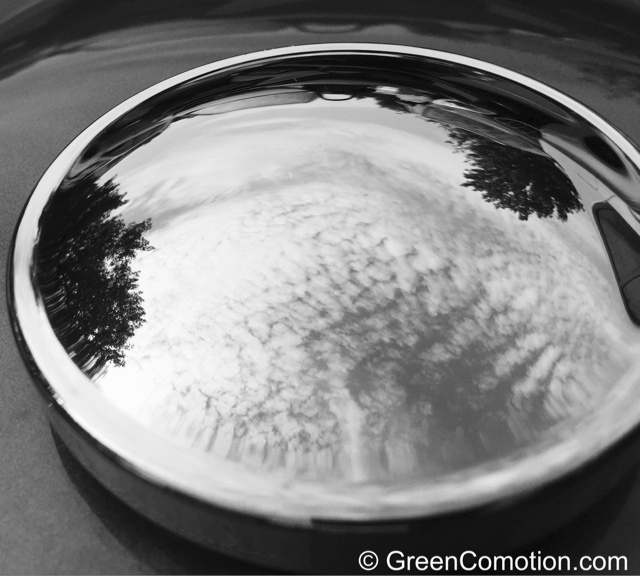 Reflection seen on a motorcycle's gas tank lid. Happy Belated World Black Cat Day to all Cat Lovers! No one escapes the cautious eye of the Imperial Guard - aka Chaka. 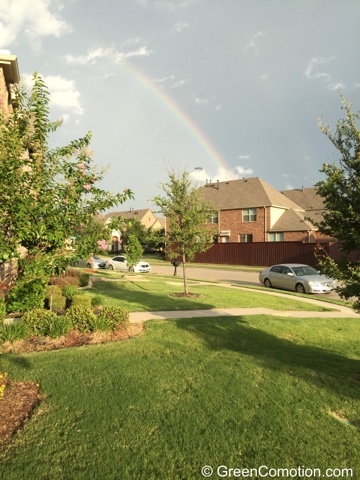 Here is a scene with a long shadow cast by a tree and a lovely rainbow to adorn the skies. Thanks to all the hosts. Have a Happy Friday and a Joyous Weekend! Oh, my! I LOVE those sky shots! I have been a skywatcher forever. It is always changing. Great reflective shot, too. And the Imperial Guard makes me laugh...we have the Court Jester at our house aka Bubbie. Beautiful and mysterious TX sky!! Great photos. 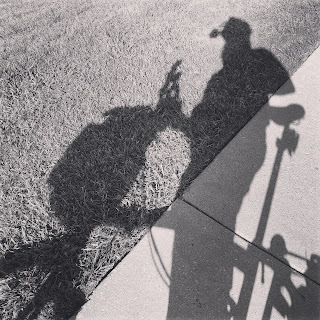 Great reflection here in B@W.
Hello, gorgeous sky captures. I love the colorful mosaic. 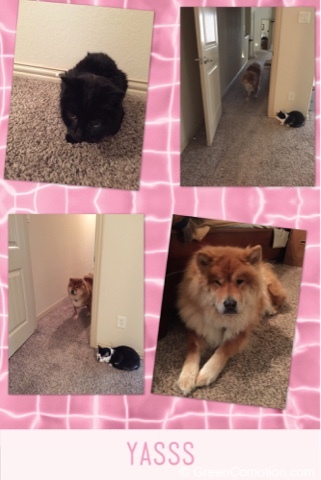 Your kitty and dog are so cute. Great series of photos. Thank you for linking up and sharing your post. Happy Saturday, enjoy your weekend. What stunning photos indeed, nice of you to share! 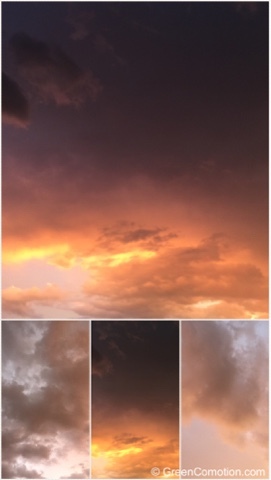 Fascinating view of the sky in the second photo. All good photos of the sky! Very creative of you to even think about using that gas cap for a reflection. It's a great photo. beautiful skies. chaka is too cute.